How important is canned tuna? It’s delicious. It’s nutritious. It’s affordable and it doesn’t need to be refrigerated. That’s four reasons this weekend that Americans from North Carolina to New England have been stocking up as Hurricane Irene bears down on the East Coast. 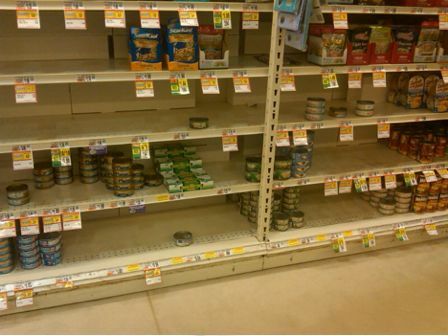 As the winds pick up, the rain pours down and we reach for that shelf-stable staple to feed the kids by candlelight, remember Greenpeace is actively campaigning to take away your canned tuna.